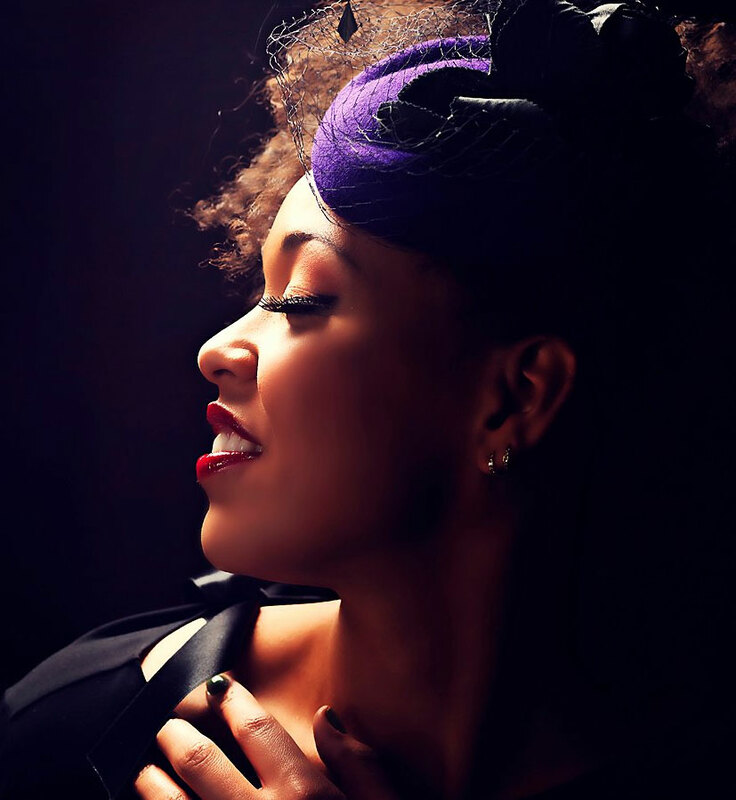 As each and every one of us are all gifted Stars shining in our own light, one that is casting some true soulful and stirring beams of inspiration is the remarkable and evolving talents of World Renowned Singer and Recording Artist Maya Azucena. Wherever she is gracing her mission upon the globe, her leading voice and actions grant anyone to stop and think. Lend your ears to some of Maya’s melodies, and you’ll being to ponder… we are the only ones that can make change really and truly happen within this world. Maya’s HEART came down to EARTH upon 04 May 1972. Choosing the solidarity of a Taurus Sun in combination with a 4 Karmic Path, she has been securely rooting her individuality through the openly original and break-through ways that a 4 native chooses to do so. As Venus guides her sun sign to make beyond pleasurable music -as Taurus’s tend to seek harmony through some from of artistic expression- she walks the Lifepath (sum of day/month/yr) of the 28. Her attraction and love of the Sun itself has been an innate part of her journey, for anyone with this singular 1 Lifepath (2 + 8= 10/1) has this very planet as their personal guiding light. Souls traveling on a 1 Lifepath will find they are no strangers to being able to shine upon the stage, bringing forth their initiations through multitudes of benevolent and creative means. Intensifying this ability to captivate attention, Maya is equally via her natal birth chart guided by the Sun through her first impressions and approaches, with the sign of Leo filling up the energy from this piece of her Zodiac Pie as she wears her mask to the world. Aside from the strong mission of making innovative music, Maya has more than a charitable heart as her talents have been seen involved in countless events and causes that are here to aide in nurturing humanity. The very beginning of Maya’s birth chart catches the very last degree of a Cancer Ascendant (Rising Sign) at the 29, which indicates a more than altruistic energy governs over how the world views her, and how her free-will decides to take on the world in continued generosity. As the 29 represents the Chaldeans’ understanding of ‘Grace Under Pressure’ she has undeniably mastered this spiritual request to respond in grace, no matter what shows up under the intensities that life may ever present. From her international tours as a Cultural Ambassor to the US to the performances at small town venues like Hudson NY’s Gay Pride, aside from being no stranger to shining upon any stage, she shines in equal light as she shares her lifelong mission to heal others through music. Music has always been Maya’s passion since she can remember, but it was not until 2003, in a 5 Personal Year, that she launched her first CD, ‘Maya Who?’. Blossoming from the structure that was built from the previous four years, she was ready to “go to the masses” as the 5 year promises within the life as permanent change and major movement surround it. As she was getting her final wall of her solid foundation in place by 2002, she sang on Norman Brown’s album ‘Just Chillin,’ which won the 2003 Grammy for Best Pop Instrumental Album. By 2006, in her 8 Personal Year of harvest and further recognition and reward, Maya connected with Croatian singer Giobonni. An 8 year is guaranteed to grant responsible and stabile relationships to formulate and seemingly karmically link-up within the life. She was featured on his 2006 album ‘Unca Fibre,’ that also reaped two Croatian Grammy Awards, Porins. This honor and respect continued on as she collaborated with him for world tours and television appearances across Europe that broke her into her next 9 year cycle in a 1 Personal Year of new beginnings by 2008. Before touring with Giobanni, within 2007’s 9 Personal Year, to the ultimate nines Maya went to acquire continued fame and celebrity that granted another Grammy by 2008 with Stephen Marley, a duet recorded on his 2007 record ‘Mind Control,’ which earned the 2008 Grammy Award for Best Reggae Album. Equally from her own efforts, she released an second CD, ‘Junkyard Jewel,’ whose song, “Set You Free” was paired with Ford Motors for a commercial; her single, “Make it Happen,” was seen to soar on the Billboard’s Hot Club Dance Charts at #3. As one is crossing from any 9 Personal Year into the 1’s guarantee of momentous new beginnings, life will present tremendous opportunities for shift within the life. When 2008’s 1 Personal Year began, so too, did Maya’s 2nd pinnacle cycle that promises the protection of the 23’s ‘The Royal Star of the Lion.’ This singular 5 energy guides her current nine year span of time in the life, and will reverse to the 32’s ‘Communication’ by 2017. 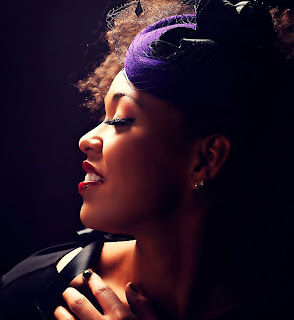 Maya Azucena is not going to politely disappear into the shadows. As these 5 pinnacles will keep pressing for more movement, versatility and expression of communication, the masses will continue to be able to be ever-amazed by how Maya’s journey unfolds. How wonderful that the world can expect more motivation for change not only through her music; but those planets above promise as well to aide Maya to deliver more progressive, humble and humanitarian ways that she can choose from to allow her voice to be heard. We surely could write an entire book about the life story and why the successful accomplishments have played out in the timely fashion as they have for Maya. But for now, as she in 2012 transits once more in another 5 Personal Year, you can expect to see another round of blossoming changes emerge as the masses are meant to see more of her. As soon as September opened, her 5 Personal Month in this 5 year boomed loud and clear as a cameo on a Verizon commerical was released. As this fast paced year continues, the messages and ways the world will know all the more about Maya, will grow intensely as this energy of moving amongst the masses promises permanent change and communication related results. Aside from the energy of change, Maya’s latest and already acclaimed CD ‘Cry Love,’ is undoubtedly headed into it’s own light of fame and celebrity. With this title carrying a pure 9 Name Expression, the complete courage it represents as a whole speaks for itself when you give it a listen. While it captures in incredible grace the heartache of what life can bring to the plate to handle, it’s energy is packed with Mars’s (ruler of the 9) pioneering power, and we probably shouldn’t be surprised, that even track #9, is indeed named, “Warriors.” Coincidence? As Maya will tell you, she’s not versed in numerology, but how brilliant it is to affirm here that she undeniably is in tune to her true self. The last bit of star secrets confirmation comes from the uncanny mysteries of Lexigrams. As we look to how the anagrams that can be derived from Maya’s original birth name- Maya Azucena Newton, (which also carries a Name Expression of the 13’s Regeneration and Change- a number that ensures that strokes of genius will be a large part of the career path as innovative and ground-breaking service to the world prevails) we see that when we phrase them like poetry or prose, they tell a story, one of truth to the name being examined. And now we extend our GREAT TRUE ATTITUDE of GRATITUDE to You, Dear Maya. The change you are securely rooting in this world through your mission will continue to blossom and grow upon this EARTH, for your HEART is always in the right place of being in the LOVE to EVOLVE. LISTEN BACK to the Podcast from 07 August! A Quick Word on The Idealist…. The planet of compassion and sensuality is way ahead of everyone and not holding back as she excitedly begins anew upon the Zodiac Wheel. Get ready for some pleasures to give you a preview of the Spring to come where The Ram energizes your life, and be sure to take up with some romantic adventure to bring forth enthusiasm here. Collectively, affections are urged to the impetuous, non-restraint and easy arousals as a smooth harmony can be found through mental activities, devotion to ideals, and concentrating upon the essentials. A straight forward motion happily wishes to display itself as we all can find the means to be just a little more playful within our Winter’s retreat. While the ongoing Mars Retrograde in Virgo asks for you to stand in your courage, look to Venus in Aries for the outlets to see both sides of the issues at hand. Even though Virgo and Aries are not ideal Zodiac pals, she’ll not wish to argue as these meet up on 22 February in an quincunx (a 150-degree aspect that can cause tensions to arise). When independence is granted, she will do her best to gracefully bring forth some peace that can aide in remembering to back away from any conflict, as it is much more fun to find herself flirting with The Ram than confronting Mars as he toys with logic at present. True to remaining in her ideal world, Venus does wish to bring forth ease and good times where The Ram takes charge in your Zodiac Pie as she’ll transit here until 05 March. She faces Saturn in Retrograde head on 04 March at 28 degrees, close to the tipping point of Aries and Libra. What you are presently being patient about where The Scales seek to be responsibly balanced as they ponder in review, will have a definite opportunity to find a steady channel for some realizations here to unfold. We collectively celebrate the Chinese New Year on 03 February 2011: The Year of the Rabbit/Metal Year. The Chinese Zodiac can lend anyone insight into their personality and natural tendencies, like our Western Zodiac can provide. Our friends in the West take their Zodiac and divide it into 12 signs as does Western Astrology, yet one animal sign influences an entire year verses one month. The intricate link in understanding the common ground of these two systems is the transits of Jupiter, which take approximately one year to transit through one Zodiac sign in the West. Here in the West it only takes that same years’ time to represent all 12 signs on our Zodiac wheel, while our friends in the East take 60 years to complete a full cycle, as each animal every 12 years is depicted through 5 different elemental years of earth, metal, water, wood, and fire. Diplomacy and agreement will be rewarded in 2011, as the collective can expect this to be a time of peace, settlement, sensitivity, and one where attention paid to home and family is fortunate. The energy of comparison to stimulate agreements and conciliatory measures encompasses the political landscape. Advances within the medical field, welfare reform, and the arts all take center stage as the months within 2011 unfolds. Now the collective experiences the 4th year within a 9 and 12-year cycle, where the seeds planted in 2008 are still in their incubation to eventually reap a harvest further down the road. With Uranus guiding the singular 4’s energy over 2011, there is originality, restructuring, and innovations to be found amongst the Rabbits urges for peace. 2011 marks the time when revolutionary ideas that are accompanied with a non-violent approach will bring us to a deeper understanding of the very world we all live in. Grasping the true wisdom behind REVOLUTION plays a wise role in securing the future. At last a real one can now begins as this word calls to us to ponder: LET LOVE RULE NOT EVIL. For when we UNTIE IT IN A TRUE LOVE ROUTINE, we will all surely adapt smoothly to what virtue and refined energy of the Rabbit -especially within the added strength of the Metal Year- ultimately requests of us all. All is set to the cozy lairs of our home environments and family life in a Metal Rabbit Year as we allow our sensitivity to co-operate. The Rabbit asks that we awaken a fertile and mothering instinct within ourselves. Once more under the Metal influenced year, these qualities are intensified and yearn to be strengthened all the more. With the Rabbit representing Yin Wood energy, what transpires over the year ahead brings forth longevity from the actions instilled. As the Moon is closely connected to the Chinese understanding of the Rabbit, there is a great deal of mystery and intuition marking the energies we have access to. The choices of discreet, principled, refined, and honorable decisions are intelligent and respected ones within a Metal Rabbit Year. *YOU ARE IN the company of a Rabbit when you see a peaceful, practical, articulate, and perceptive spirit that happily shows that life is to be savored by enjoying the quieter things in simplicity. *THE TYPICAL RABBIT is diplomatic, at times unpredictable/timid, enjoys conversation, makes their surroundings comfortable, pays attention to detail, enjoys routine, prefers entertaining at home verse going out, possesses an intense love for the family, dislikes arguments and avoids unpleasantness. *RABBITS ARE Yin Wood energy, where the internal feminine represents the nurturing role and gravitating to reflection, privacy, and comforts. The symbol of wood allows for an flexible nature to emerge. The energy of the Rabbit can become unbalanced when irritable and confused under sudden changes and unforeseen events. *RABBIT YEARS in history mark a time for balancing and opportunities to unfold for advancements within the arts, medical fields and our domesticated lives. 1903, 1915, 1927, 1939, 1951, 1962, 1975, 1987, 1999, all saw large-scale changes within these areas on a global level, as will 2011, being all the more intensified and strengthened by the Metal energy guiding this particular year. As the months ahead pass, we will be called to engage our sympathy, understanding, and nurturing more and more as situations requiring comforts prevail. *Legend has it how the Chinese Zodiac Wheel order formed is that the Ox was the second animal in line when Buddha asked the animals to come to him. CATCH the PODCAST from 01 FEBRUARY! Special Guest Astrologer Chris Flisher and Sharita dived into a hearty discussion of East meets West, and what both Zodiac perspectives indicate is to unfold as 2011 continues.